Car enthusiasts often want their vehicles to be unique. 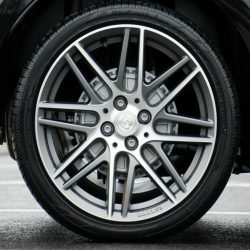 Car enthusiasts might look into alloy wheels, which are made of an alloy of magnesium and aluminium rather than steel. Alloy wheels can really spice up the look of a car, and when you are ready for something new and completely spectacular, this is the way to go. Alloy wheels dissipate heat build up from brakes more quickly than their steel counterparts. But they can get damaged and need repair. Sometimes, your wheel may hit or scrape the kerb or get damaged by a pothole and then a repair might be needed. Alloy wheel repairs are one of the most performed actions in the NME workshop., especially as this can often be performed in one day – drop off your car in the morning, pick it up in the afternoon (by pre-arrangement). A car in need of alloy wheel repairs is unsafe and it not only looks bad, but it reduces the price of your vehicle should you wish to sell it. 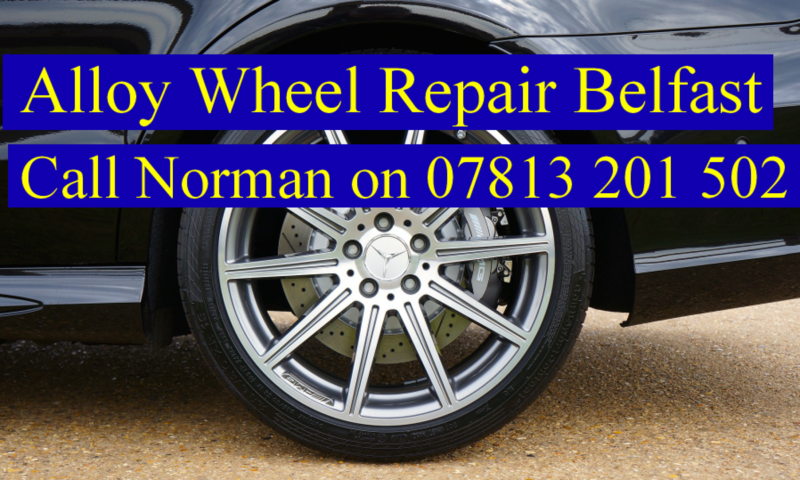 We are able to offer alloy wheel repairs for a much lower price than buying replacements. As a value for money proposition there is little to beat car alloy wheel repairs. Before alloy wheel repairs are decided upon, the wheel should be thoroughly examined. It is the extent of damage which will determine whether car alloy wheel repairs are actually a viable option. A damaged alloy car wheel presents a potential threat to your road safety and you have to take a call on whether to replace it or go for alloy wheel repairs. Cracks are the commonest type of damage that can leave a wheel beyond repair. However, alloy wheel repairs can be a really cost effective option. Note: we do NOT offer refurbishment. Alloys are defined as mixtures of a metal and other elements and are often stronger than items made with a single pure metals. Alloy wheels are made from an alloy of aluminium or magnesium. These are usually lighter in weight for the same strength than wheels made from steel (although not always) and also provide better heat conduction, which may improve braking performance. Lighter wheels can improve road handling and improve grip. They can also help improve fuel consumption by reducing the overall weight of the vehicle. Alloy wheels can corrode if not cared for, which can cause the tires to leak air. They can also be harder to repair than steel wheels but the higher price of alloy wheels makes them more economic to repair than steel wheels. It used to be that alloy wheels were only for luxury cars or an expensive addition to a lower range model. Now that manufacturing costs have dropped, alloy wheels are often fitted as standard. 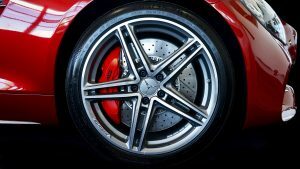 Whether your alloy wheels were part of your purchase or you invested in purchasing a set for your car, you will probably want to keep them looking at their best, if at all possible. The problem is, accidents DO happen. High kerbs, corners where you didn’t expect them and potholes, especially after a cold and frosty winter, can all lead to cracks, kerbed wheels and a need to repair alloy wheels. At worst, you could end up with a bent wheel. And extensive kerbing may lead to corrosion and fractures. These can all cause road safety problems for you. A deep pothole may bend a wheel out of alignment. It could also render it irreparable. Some kind of less serious impact, could distort the rim and might cause a slow air leak and will mean you will need an alloy wheels repair service. In Belfast, subject to inspection, you can get an alloy wheel repair done at NME Engineering. Phone 07813 201 502 and ask for Norman.